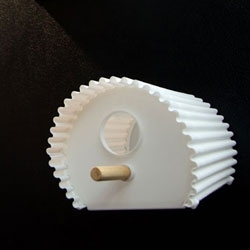 Hūs, a flatpacked 3D printed birdhouse from design consultancy Saint H and rapid prototyping bureau Digits 2 Widgets. 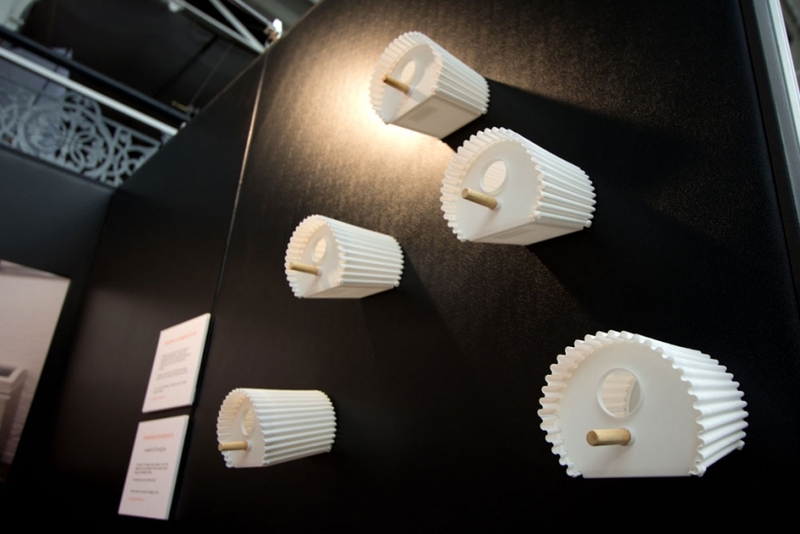 Spotted at this year's 3D Print Show, the nestbox is 3D printed from Nylon SLS in flat and corrugated form. The material is tough and durable, yet folds easily along its joints. 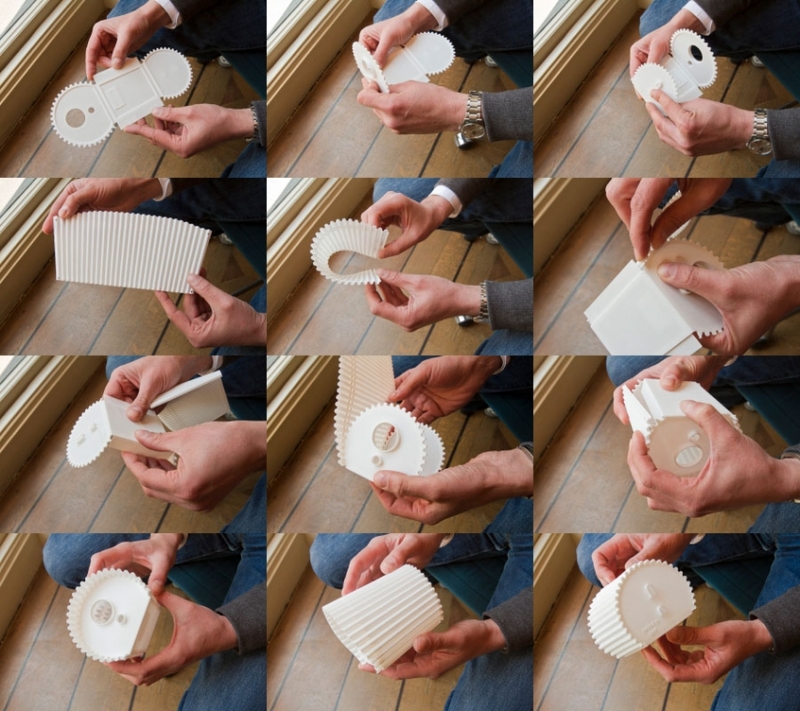 As a printed product, Hūs is produced with minimal material wastage, requires no moulding and ships easily as a flatpack. Find out more from Saint H and Digits2Widgets. A wall of assembled Hūs nestboxes. 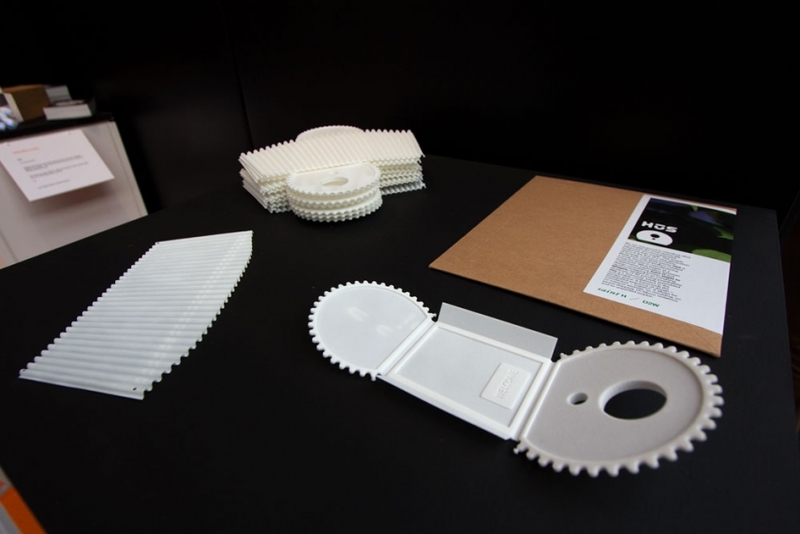 3D printed in components to be assembled, the boxes ship as flatpacks. Folding from flatpack to nest box. Find out more from Digits2Widgets.